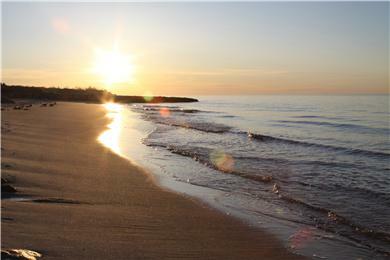 Beautiful Bay beach is just a tenth of a mile away! 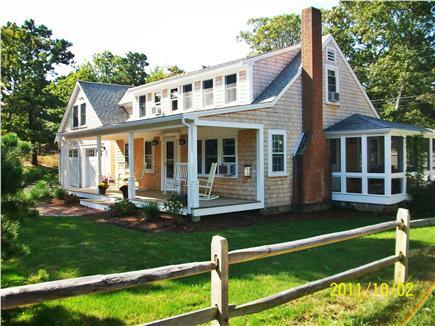 Come make lasting memories in this lovely summer cottage located on a private road on the bay side of Cape Cod. 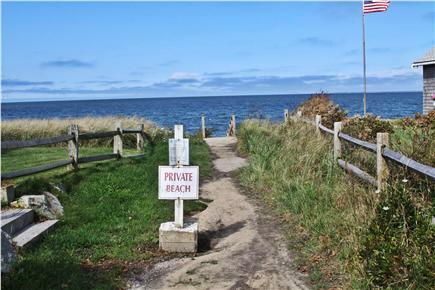 Enjoy ocean views from the front yard and just a 0.1 mile walk to the beach. 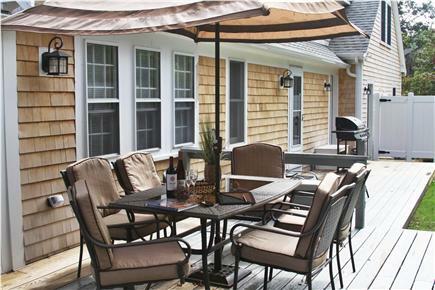 With a screened in porch, a large deck, and outdoor shower, you can enjoy the fresh Cape Cod air. The property is less than 0.3 miles from the bike path and just down the street from Nickerson State park. Bike rentals are nearby. This cottage has a great yard for kids to play. A relaxing family vacation is waiting for you! If you don't see the dates available for rental or if you have a large enough group to rent two properties, check out ID #22699, our sister property located the next street over. Enjoyed our time at this wonderful vacation home by the ocean. Just a quick walk down the lane to the water. This home is comfortable and spacious with a great screened porch and sunny deck. The outdoor shower is an added blessing when returning from the beach with sandy feet. The many bathrooms make it very convenient for a family. Would recommend this lovely home!